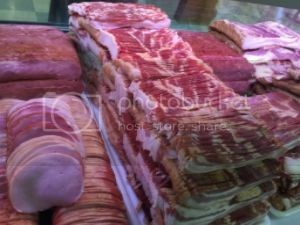 A full line of fresh meats is also available at the Dutch Market as well as various smoked and cured meats. The market features quality choice beef and pork. We also have ground turkey which can be used like ground beef, but is much lower in cholesterol. 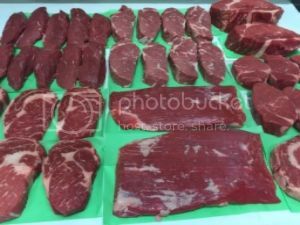 Various steak cuts, pork, hamburger, and sandwich meats as well as a variety of bacon and sausages. The sausage is hand stuffed right here at the market. Custom cuts are available as well including whole pigs for your summer pig roast. Call ahead to order. ©2009 PA Dutch Farmers Market. All rights reserved. Web Design Lancaster PA.